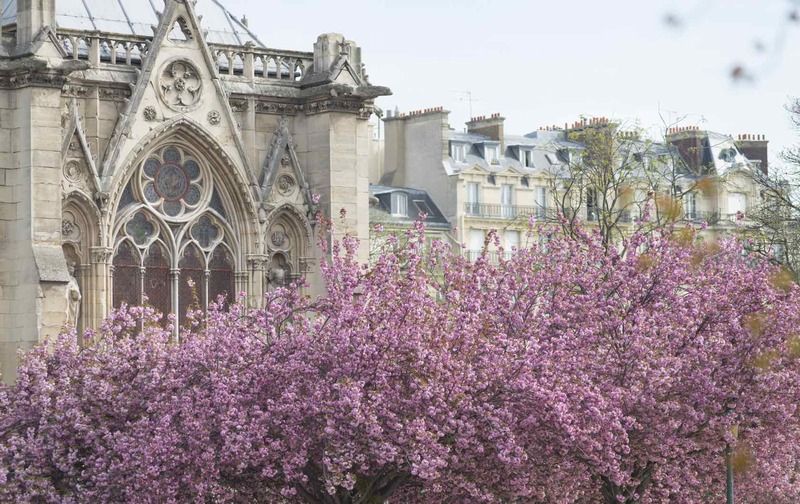 Springtime in Paris is magical. 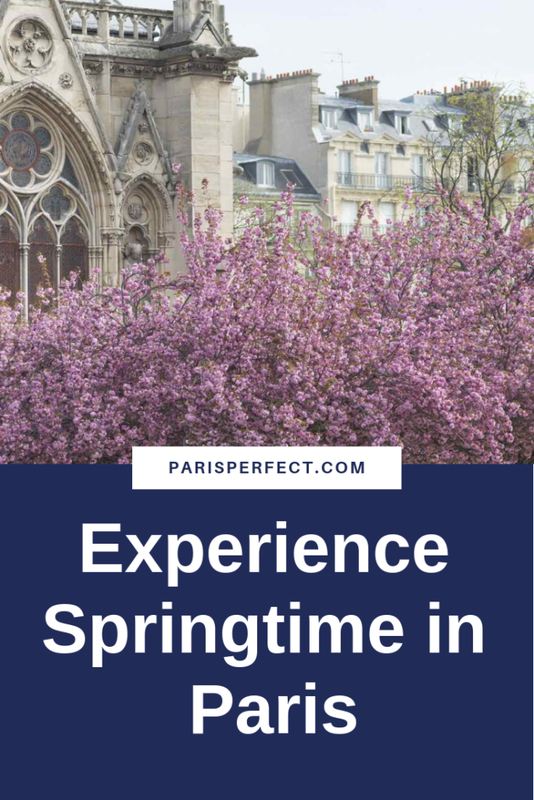 Yes, the weather can be a bit indecisive and the temperatures are still quite chilly, but it’s the return of color to a very neutral Paris that makes Parisians feel alive, and it all starts with the daffodils. Imagine this: You’re a Parisian, walking down the cold, gray street thinking that winter will never end; it’s been months since you’ve taken off your thick socks! Your scarf is wrapped all the way up to your nose and your hands are stuffed as far into your coat pockets as humanly possible to keep your fingers warm. 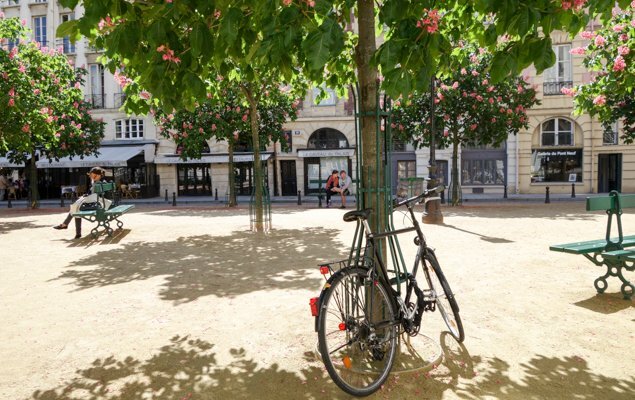 You’re daydreaming about warmer days along the Seine river and picnics in the park, when suddenly, you spot a shock of bright yellow from the corner of your eye. It wasn’t a figment of your imagination, as you initially thought – it was the daffodils! They seemed to have sprung up overnight! 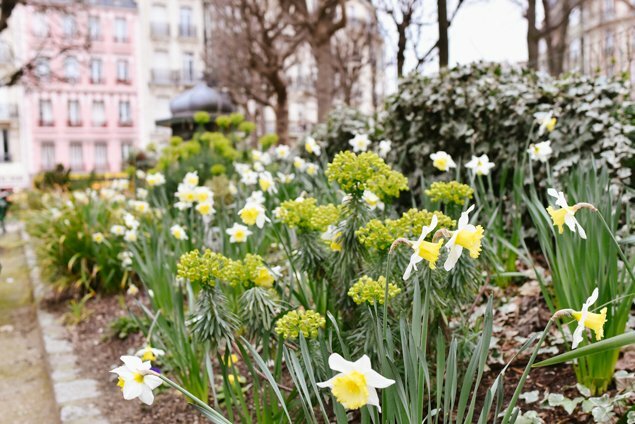 That’s how you know spring is on its way in Paris, when the daffodils leap up from the earth, bobbing their bright yellow heads cheerfully and imparting a whole new atmosphere to the city. Here and there, you’ll also come across a gorgeous pink magnolia tree. 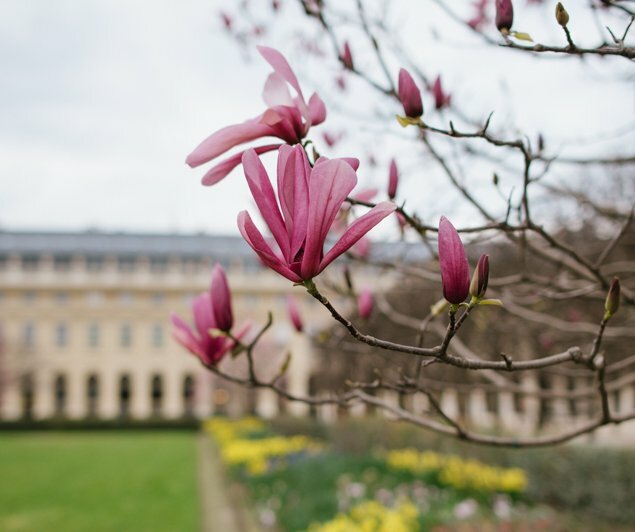 There is no better place to see these two early spring blooms than the Palais Royal garden. It’s strange to see such bright pops of color amid a sea of hibernating trees, devoid of their summertime greenery, but that’s precisely why they’re so inspiring! When the sky is temperamental, like it’s apt to be in the early stages of spring, and when the trees are that mundane shade of gray-brown, the bright petals are like light bulbs that illuminate your world. 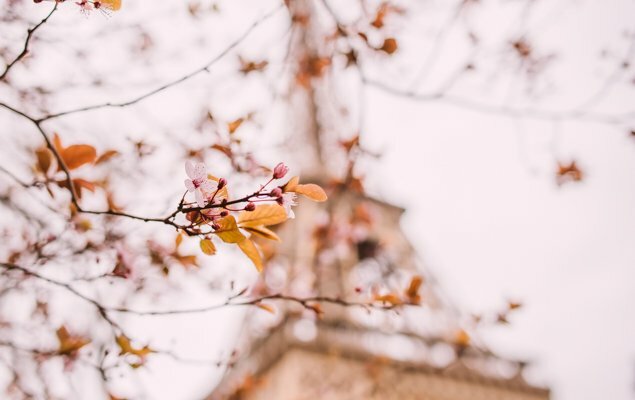 Some of the earliest cherry blossoms of March bloom in the Champ de Mars – this is the perfect time to get that quintessential spring picture with the Eiffel Tower in the background! 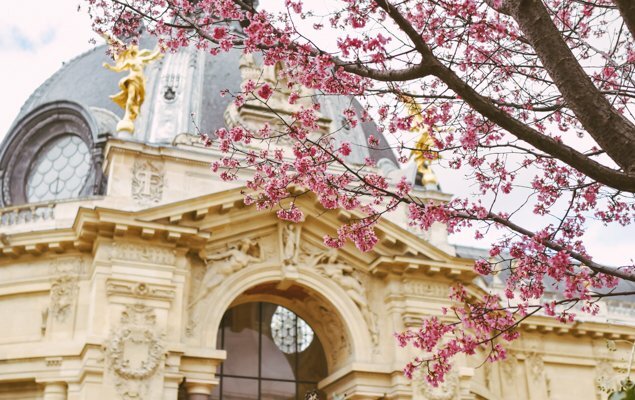 I also stumbled across a beautiful flowering tree in the courtyard of the Petit Palais! 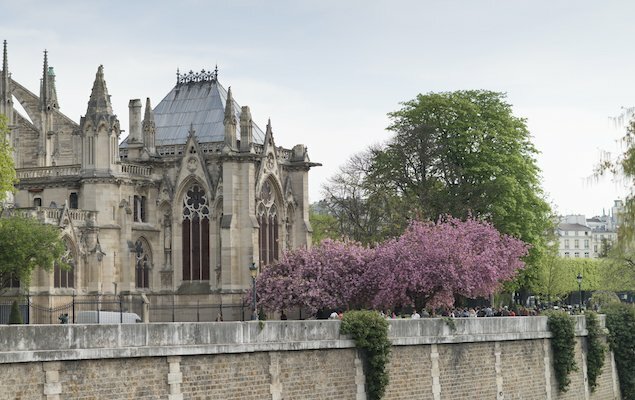 Later, once April rolls around, you’ll be able to admire the pink trees behind Notre Dame. The combination of lacy architecture and ornate blooms is absolutely heavenly. The best time to see these, and take pictures of them, is early in the morning when the light is soft and there aren’t many people walking around yet. This is also about the time that Place Dauphine erupts in a sea of gorgeous pink trees that fill the air with a beautiful floral scent. There are benches scattered throughout the triangular-shaped park, inviting you to sit and enjoy your surroundings for a while. 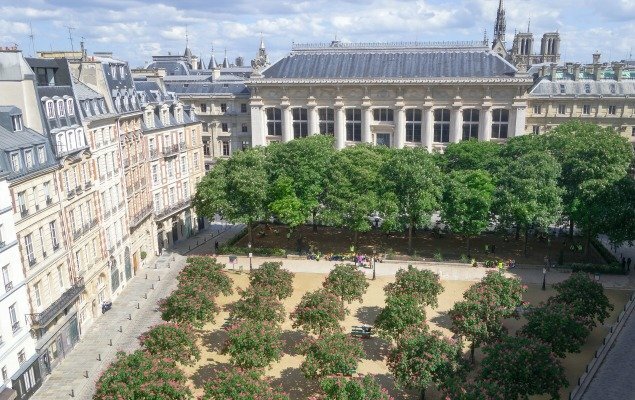 Place Dauphine is truly a special place. It is quiet, picturesque and there are some excellent cafés and restaurants that border the plaza. You’ll often see older men playing a game of pétanque or groups of people practicing tai chi on warmer days. 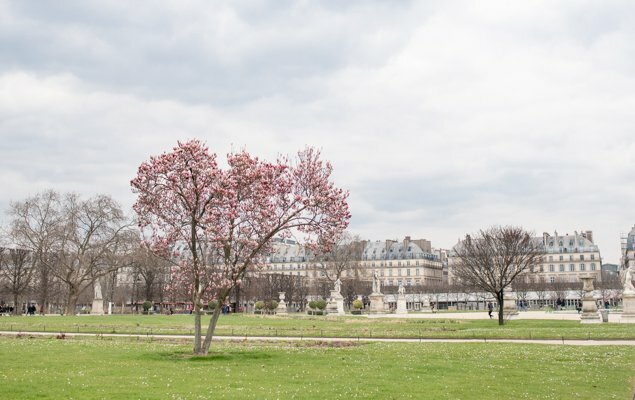 There’s no better time for a fresh start than springtime in Paris. I get to break out the spring clothes from the back of my closet and spend more time outdoors exploring this amazing city! Browse Paris Perfect’s online collection. Call 1-888-520-2087 from the USA or email [email protected] for our apartment reservation team. 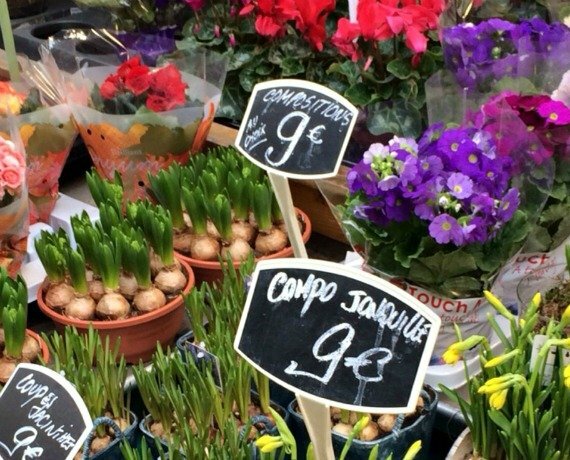 Posted on Wednesday, March 16th, 2016 at 11:54 am in Parisian Living. You can follow any responses to this entry through the RSS 2.0 feed. You can leave a response, or trackback from your own site.